Not all bats spend their days roosting in caves. Some roost in trees, abandoned mines, buildings, bridges and many other locations. Actually, the variety of bat roosts reflects the amazing diversity of bat species. Bats are highly opportunistic and have adapted to their environments in creative ways to take advantage of the many shelters available to them. However, humans moving into or using areas where bats live often modify or destroy their habitats and roosts. 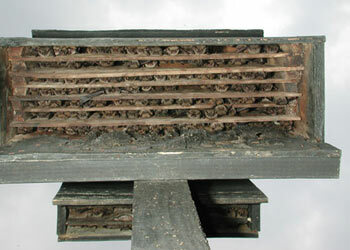 A bat box is a man-made roost for bats. It is a way to provide valuable shelter for the only species of flying mammal—a group of species that is in decline in the United States. Why Should I Create a Bat Box? Bats are an important part of our ecosystem. North American bats are primarily insectivorous and, where they are present, they provide an important check to insect populations. 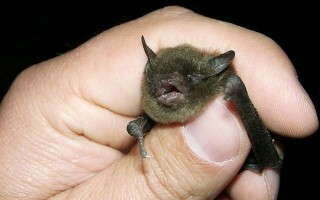 For example, a single little brown bat can catch up to 1,200 mosquito-sized insects in an hour! However human activities (both inadvertent and purposefully) have caused drastic reductions in bat populations in recent years. These misunderstood animals are a keystone species—if the y disappear, there will be permanent changes to the ecosystem. By putting up a bat house you will help bats find a home. You will also benefit from having fewer yard and garden pests and will enjoy learning about bats and sharing your knowledge with friends and family. Bat boxes are a real bonus for bats because they give the animals a shelter from predators and the elements and provide them a place to care for their young. Creating a bat box is not very expensive, however the costs can add up if you are trying to create many of them! Your goals for creating bat boxes will in part determine the costs. You may be building bat boxes just for the members of your organization, or for a local park, or you may be reaching out to a specific audience such as schools in your watershed. Whatever the case, you will want to write out your specific goals and let them guide your work plan. The cost of creating a bat boxes is quite low. In fact the cost of the tools needed to create a bat box is greater than the cost of a bat box itself. If you are building one bat box, a hand saw, twenty to thirty screws and ten or so nails (or wood glue), a quarter sheet of plywood, a 1×2” pine board, some caulk and a caulk gun, and some water-based stain and brushes are all that are necessary. If you are building several bat boxes, you will probably want to use a table or circular saw instead of a hand saw. The cost of materials for a bat box can vary between ten and twenty dollars, depending on the options you choose in building. The cost of tools could be upwards of $250.00, depending on the tools you decide to purchase. There are many ways to finance a bat box project. The simplest method of cost cutting is to cut material costs by using leftover lumber. You can also partner with a lumber yard to get new or scrap lumber donated. As previously noted, tools are the primary cost of building bat boxes. You can cut these costs by asking members of your organization or friends to lend you their tools for the project. You can also ask your local high school wood shop class if they would be willing to donate their time to help cut lumber to prepare the bat boxes. If you are in need of funding for your project, you can also ask the recipients of the bat boxes to make a donation or you can seek out grants. The Home Depot and Walmart offer grants for community environmental projects such as these. You might also try the Chesapeake Bay Trust (MD) and the Chesapeake Bay Restoration Fund (VA) or other environmental grant making organizations in your jurisdiction. It is not enough to have the construction materials for your bat boxes ready for your event—some final preparations will make your construction/distribution day a success. There are several steps to constructing a bat box from scratch. Ideally, the first three steps below would be completed before the volunteers assemble the bat boxes in order to save time and to minimize the number of people using potentially dangerous tools. 1/4 sheet ( 2′ x 4′ ) 1/2″ AC, BC, or T1-11 (outdoor grade) plywood. DO NOT use pressure treated wood. How elaborate you make your bat box depends on your personal sense of aesthetics. For the most part, all the bats care about is their safety and the right dimensions. The design included below is for a small economy bat box that will house approximately 50 bats. Larger box designs are available and may work better in colder climates. Measure and Cut the plywood pieces. The plywood should be cut into three pieces: one 26 1/2″ x 24″, a second 16 1/2″ x 24″, and a third of 5″ x 24″. Roughen inside of backboard and landing area. The easiest way roughen these areas is by cutting horizontal grooves with a knife or saw. Space grooves about 1/2″ apart, cutting 1/16″ to 1/32″ deep. Apply two coats of stain to interior surfaces. Use dark, water-based stain. Do not use paint, as it will fill grooves, making them unusable. Attach furring strips to the backboard. Attach the strips using caulking. Start with 24″ piece at top and then do the side pieces. The roosting chamber will be 3/4″ wide (front to back). After attaching the strips with caulking, screw the pieces together for added stability. Attach front to furring strips. Attach the top piece first (don’t forget to caulk). Leave 1/2″ vent space between top and bottom front pieces. Again, screw the newly caulked boards together. Caulk around all outside joints. This caulking will further seal roosting chamber. Attach the roof board. Attach the 1″ x 3″ x 28″ board to the top as a roof using caulking and then screwing the roof to the top of the box. Paint or stain exterior. This step should be repeated three times using primer for first coat. Cover the roof with shingles or galvanized metal. This step is optional. Wider bat houses can be built for larger colonies. Be sure to adjust dimensions for back and front pieces and ceiling strip. A 3/4″ support spacer may be required in the center of the roosting chamber for bat houses over 24″ wide to prevent warping. the back piece to permit movement of bats between houses. Two pieces of wood, 1″ x 4″ x 4 1/4″, screwed horizontally to each side, will join the two boxes. To provide additional roosting space, leave a 3/4″ space between the two houses, and roughen the wood surfaces or cover the back of each with plastic mesh. (Do not cover the rear exit slots; see item 4 below). One 1″ x 4″ x 34″ vertical piece attached to each side over the horizontal pieces blocks light, but allows bats and air to enter. A galvanized metal roof, covering both houses, protects the center roosting area from rain. Eaves should be about 3″ in southern areas and about 1 1/2″ in the north. Ventilation may not be necessary in cold climates. In this case, the front should be a single piece 23″ long. Smaller bat houses like this one will be less successful in cool climates. However, those mounted on buildings gain heat faster, maintain thermal stability better and are more likely to attract bats. 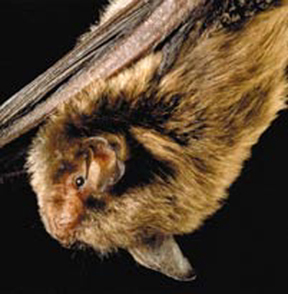 Durable plastic mesh can be substituted for roughening to provide footholds for bats. 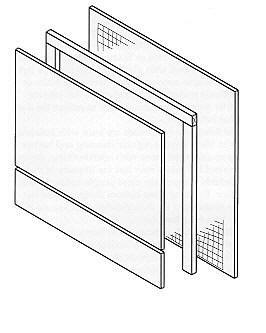 Attach one 20″ x 24 1/2″ piece to backboard after staining interior, but prior to assembly. Maintaining a bat box is easy! For the most part, bat boxes are maintenance free, however occasionally they might attract unwanted guests. Open-bottom designs are less likely to be occupied by birds, mice, or squirrels, however they may sometimes become infested with wasps. Paper wasps may build nests in partitions if they are less than three-quarters of an inch thick. Mud daubers are seldom aggressive and have weak stings. Nests of both species can be knocked down in spring with a high pressure water hose.